Life can get pretty hectic and there are always too many things on a small business owner’s mind. One of those things probably isn’t setting the budget for the year. However, budgeting is so important that it should be one of the first things at the top of the to-do list. 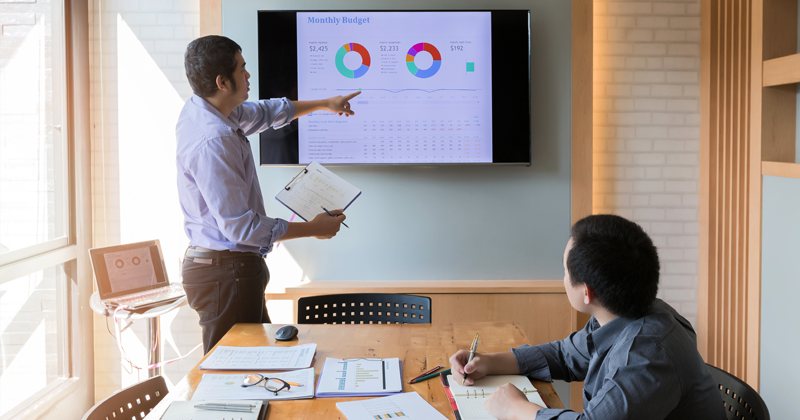 It can be easy to let responsibility and accountability fall by the wayside when there is no systematic approach to management, especially if an in-depth budgeting process was not part of the normal routine of the company. But if the budgeting process is done correctly, it allows people to rise to the occasion, regardless of the size of the company. A meaningful budgeting process is useful and can lead to more profits whether a business has one manager or twenty. This is where the business owner should also set and explain goals for the team for the following month. Business owners should also identify the people who are making the decisions that are influencing the material impact of the bottom line of the company. Sometimes that person is an obvious choice; perhaps it’s the Marketing or Purchasing Manager. But the people who make that difference aren’t always those that come to mind first. Sometimes that person is an Executive Assistant or Office Manager. Those are the people who should be given goals for the budget of the company. At the end of the month, business owners should then sit down with their managers for a performance review, where they measure what was achieved that month versus what the goals were. Managers will be held accountable for the decisions they made that month; What went wrong? What went well? If they reached their goals, perhaps give them a bonus or commission. If they fell short, identify the problem and help rectify it. This accountability and responsibility make employees feel empowered to make better decisions for the company and to make them confidently. The budget that is shared with employees will not always be financial specific; it also needs to extend beyond the financial statements. Sometimes the business owner has to be upfront about the financials so managers can be given specific goals to achieve and see the results of those goals at month’s end. But the budget can also be set for number of units sold, purchase orders places, or average billing rate per hour. The combination of financial statements and non-financial goals allows the business owner and the managers, to see the full picture and hold the team accountable. The budget setting process is about finding out what works best for the company, even if it means disclosing more information than the business owner is comfortable with at first. But if the managers and employees are not given the levers necessary or the right level of transparency, they can’t succeed in their job, and the company will never evolve. It empowers both the owners and the employees to make better decisions for the company. We provide thousands of small businesses, entrepreneurs, nonprofits, and accountants the skills and tools needed to project and interpret their financial results & KPIs. We are committed to building the best business budgeting, forecasting, and financial analytics software to help make business planning easier.